Fabric expansion joints can be designed for temperatures up to 2200F and pressures to 5 psi. 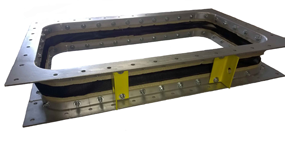 This type of expansion joint includes a fabricated framework with a fabric belt cover attached to the frame. Many frame designs are available to accommodate specific installation requirements. These include Leg-Out (LO), Leg-In (LI), J-Frame (JF) and In-Bound (IB) designs Frame materials include carbon steel, 304SS, 316SS, 409SS, 410SS, AR Plate, and almost any alloy. This flexible design can accommodate large axial and lateral movements. U-Style flexible connectors include a formed integral fabric flange to allow bolting the fabric directly to duct or fan flanges. Various fabric materials can be used to accommodate abrasion, elevated temperatures, chemical attack, or severe vibration. This design can handle up to 1000F design temperature and 5 psi pressure. Accessories include flow liners, sound pillows, and backing bars. These are an excellent joint for fan flexible connectors. 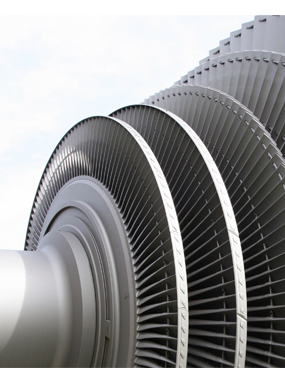 Turbine connections require special attention to accommodate elevated temperature and high velocity gas flow. FSP specialized in custom designs that can be rated to 1800F and 5 PSI to provide the protection and longevity required. We offer proven designs for Hot-Hot, Hot-Cold, and Cold-Cold installations with custom engineered designs to meet your needs. 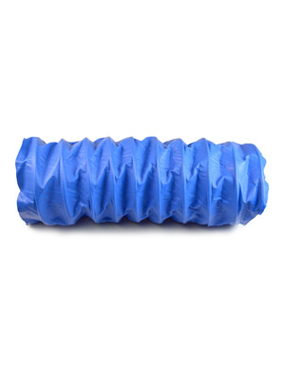 We offer flow liners, covers, and sound abatement solutions. Frame materials include 304SS, 310SS, 316SS, 409SS, and 410SS. Other alloys are also available. Our multi-layer external gas barriers provide the flexibility and strength required. 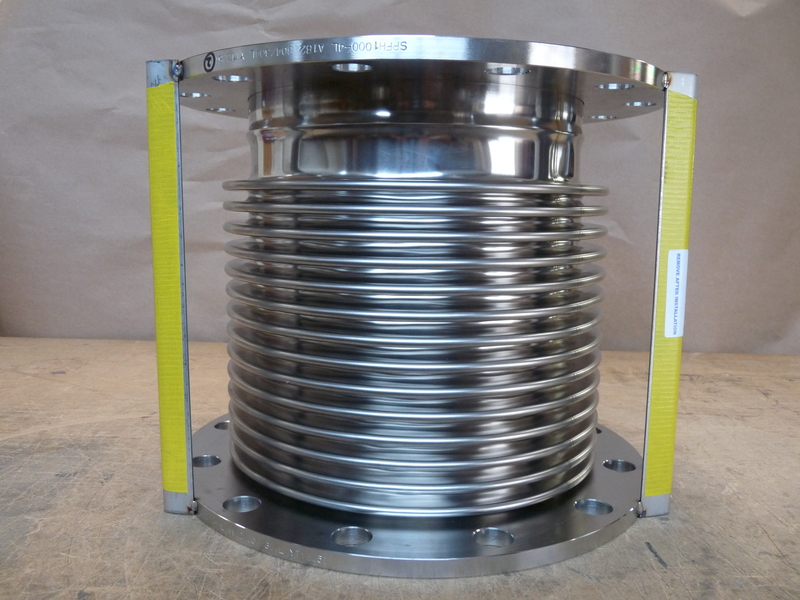 Metal bellows expansion joints can be designed for pressures that exceed 1000psi and temperatures to 1800F. The flexible convolutions of the bellows provide movement capability in all directions, while providing an airtight seal. 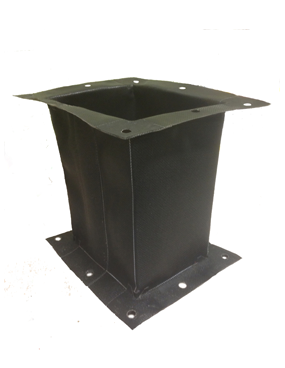 Bellows are available with flanged ends, weld ends, or threaded connections. Accessories include flow liners, tie rod assemblies, covers, and refractory linings. Common bellows designs include single, universal, hinged, gimbal, and tied. 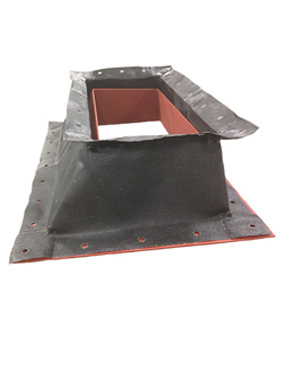 Bellows are available in round and rectangular cross-sections. Materials of construction include 321SS, 304SS, 316SS, Inconel, Hastalloy, and other alloys. FSP custom designs and manufactures almost any type of connector required for specific applications. Some of these applications may be unusual and require specialized fabricated expansion joints. We can provide transitional expansion joints that can bolt a round duct to a square opening. FSP can pre-fabricate cold offsets to match duct misalignment and also accommodate large lateral movements, angular movement, and abrasive dust loads. “Specialty” is our middle name and there is no challenge we can’t solve. Flexible Specialty Products provides 100% PTFE flexible duct in sizes up to 24” with a temperature rating up to 600F. 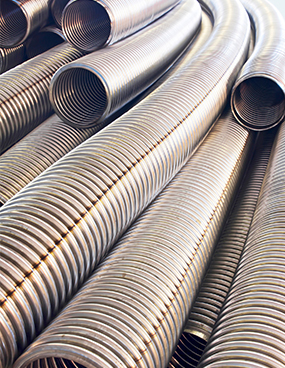 Our line of flexible ducts can be used in wet or dry applications, regardless of chemical exposure. The internal support structure allows for large compression movements as well as angulation without restricting the gas flow. These are especially effective for fume exhaust, pharmaceutical, food processing, and clean rooms. The flexible ducts can be provided with a formed integral flange that bolts directly to a flange or a slip-on cuff that attached with a band clamp. FSP provides stainless steel exhaust flexible hose as well as metal braided hose. Exhaust flexible hose is used to attach non-critical components and isolate the vibration transmission or to accommodate lateral misalignment. Metal braided hose can be used to accommodate rotational movement of pipes as well as isolate vibration and misalignment. Our line of metal hose can be provided with flanged or threaded connections to meet your requirements.